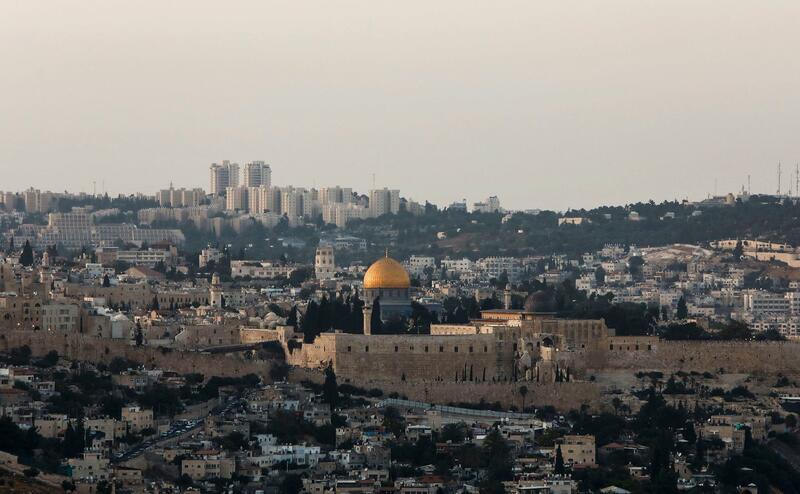 According to some pro-Israeli Christians and Jews, God wants Jerusalem to be the capital of a Jewish state. That argument, however, is not universally accepted among those faith groups. The most often-cited text is , wherein King Solomon quotes God as saying, "Since the day that I brought my people out of the land of Egypt, I chose no city in all the tribes of Israel in which to build a house, that my name might be there, and I chose no man as prince overbut I have chosen Jerusalem that my name may be there and I have chosen David to be over my people Israel." "Only the devil knows what the president meant by that," Israeli lawmaker Avi Dichter told Israeli radio. One small apartment building near the U.S. Embassy in Jerusalem is emblematic of Israelis' mixed attitudes about the city.